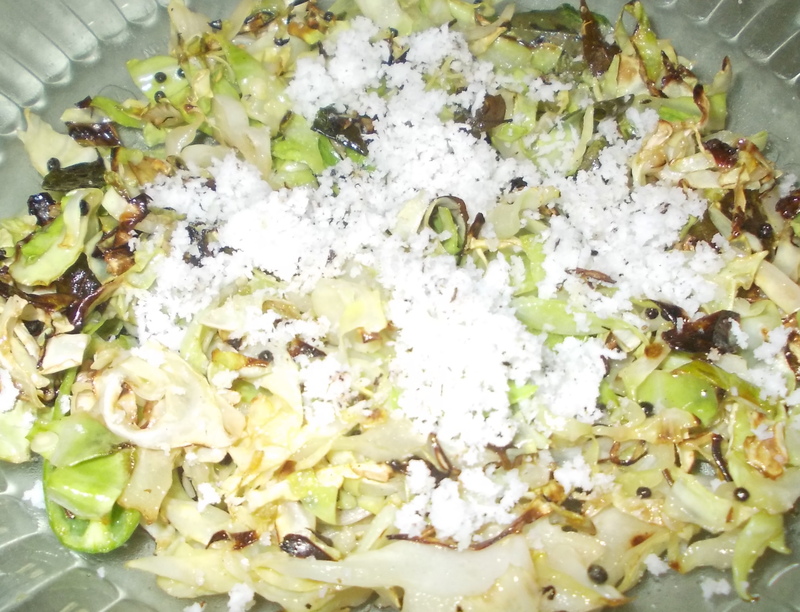 Stir Fried Cabbage is a crunchy mixture of tossed cabbage with aromatic flavour of mustard seeds & curry leaves. It goes well with every south Indian meal. Add mustard seeds, green chilli & curry leaves. Stir well. Add cabbage, salt & stir. Add coconut, pepper powder & toss well & serve hot.